The ‘Silk Highway’ will connect Western Europe with China, no matter what the locals think. Large infrastructure projects are often pushed through despite local concerns and grievances. This was certainly the case with projects such as the Keystone XL oil pipeline, which runs from Canada all the way across the United States; and the Turin-Lyon high-speed railway. Local communities fight against megaprojects that harm environments and destroy landscapes even while authorities bring in drills and erect cranes for the sake of ‘the greater good.’ Something of the sort is happening in Kazakhstan right now, where the so-called ‘Silk Highway,’ an ambitious project that seeks to connect Western Europe with China, is in the process of being constructed. While protest is neither strong nor organised, opposition to the road is beginning to grow throughout the scattered villages of Kazakhstan, where the effects of the project can really be felt. But with the country’s ruling elite completely committed to the highway, this opposition is unlikely to have much impact. 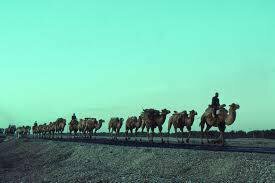 Just a few hundred years ago, animals were used to transport goods along the Silk Road, the artery of commerce between East and West – the Silk Road was recently inscribed in the World Heritage List by UNESCO. Things have changed dramatically since then. Today, cargo is transported from one end of the Eurasian continent to the other primarily by ship, and some by truck. But it is still a time consuming endeavour. Soon, however, cargo journey times could be reduced dramatically thanks to a World-Bank-sponsored highway project that will connect the Chinese city of Lianyungang with St Petersburg. The World-Bank-sponsored highway project will connect the Chinese city of Lianyungang with St Petersburg. The new Silk Highway could cut the shipping time of products between China and Europe by more than 50%. By sea, Chinese goods take up to 45 days to reach Germany; by rail they can get there in as little as 18 days; and on roads potentially even faster. Currently, 95% of cargo between China and Europe is transported on ships so the more that is transferred onto the road, the more time, and hence costs, can be saved. 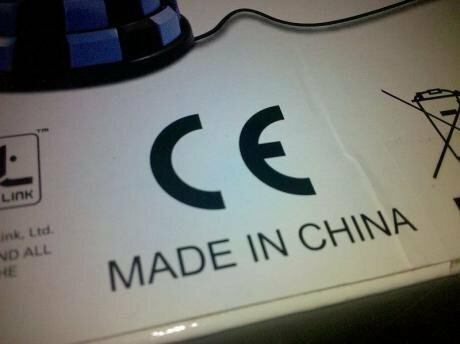 Moreover, in passing through the territory of the Customs Union (comprising Russia, Kazakhstan, and Belarus), ‘Made in China’ goods will be subject to just one border control before entering the European Union. Kazakhstan is vital to the success of the highway; the entire route will stretch 8,445 km, 2,787km of which will be laid in the territory of Kazakhstan, from Khorgos in the south-west to Martuk in the north-east. Of this 2787km, only 300 km are designed to run outside of the existing roadways, for the remaining sections, works of reconstruction and upgrade are being carried out. International organisations are rushing in from far and wide to help finance the construction of this mega project. The World Bank, for example, is betting high stakes on the highway and has lent $2.125 billion through its IBRD branch, making it the largest investment project in the history of the organisation. Other key contributors include the Asian Development Bank, with $700m; the Inter-American Development Bank, with $414m; and the European Bank for Reconstruction and Development, which is investing a further $197m. Together, these ‘development’ banks have invested some $3 billion, in order to help bring the project to life. Total estimated costs will likely run up to $5.6 billion. While the world’s leading ‘development’ organisations are clearly throwing their full weight behind the project, locally, the road is creating some tensions with rural populations. Earlier in June, for example, a court case sanctioned the demolition of a newly-built house that was considered to stand too close to the path of the highway. The Almaganbetovs, a family of nine, protested that the authorities had not once asked them to suspend work on the house while it was under construction, thus giving them hope to think that their home would be spared. The court ordered the Almaganbetov’s to be compensated, and set the sum at 400,000 tenge (roughly equivalent to $2,000), but the family claims to have spent at least 11m tenge (around $60,000) on their home. A number of other houses along the highway are similarly lying in the path of the wrecking ball, and, if the Almaganbetov court case is any precedent, families can expect to be compensated as little as 3% or 4% of the total capital they invested into their homes. A number of other houses along the highway are similarly lying in the path of the wrecking ball. There have been other irregularities. According to the Prosecutors Office in Almaty, the contracts with which the city administration managed to seize the farm land to build the road were flawed. Last May, the official court statement called for the repayment of the compensations collected by the farmers. The court had discovered that the amount paid to private citizens was 20 to 30% higher than the market price; and the prosecutor alleged that the difference was pocketed by public officials involved in the deal. Citizens are, of course, upset about the decision, because the request of the court does not entail the return of the land to the previous owners, who will be stuck in a no-win situation. 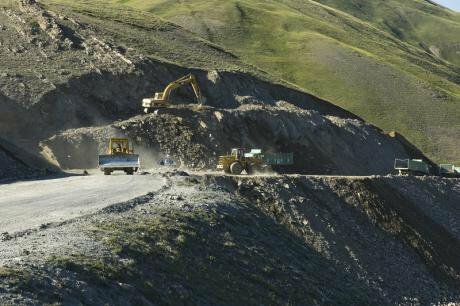 In the vicinity of Almaty, a strike recently halted the works of Doğuş Gülsan, a Turkish firm involved in the construction of the road. Three hundred workers were protesting about overdue payments and poor working conditions: ‘we are constantly denied access to 30% to 40% of our salaries, but we work 13 hours every day. This is a farce. Our families don't have enough money to survive at this point,’ said construction worker Yerlan Akylzhan to a local TV reporter last May. Recurrent disputes between local workers and foreign companies are compromising the schedule for the completion of this massive project. In a southern region of Kazakhstan, not far from Shymkent, tumbleweeds roll across the new asphalt, which stands tall in the middle of pasture fields, but is neither elevated nor fenced off enough to keep cattle from wandering among the cars, on some sections of roadway. In other sections there are tunnels, especially devised to allow the migration of cows and sheep grazing right by the side of the highway. In the distance, it is easy to discern small concrete manufacturing plants, with Chinese labelling. These mobile production facilities are protected by private security guards; and it is extremely difficult to approach the staff working inside. Local companies, however, are more open – though still wary of strangers – and they provide a small glimpse into the system of tendering for contracts. The head of construction at AKM-Planum, one of the construction companies that have been assigned to the project, explained the situation as follows: ‘the centralised tender system as it exists today is less corrupt, but it is still easy to find loopholes and to pay under the table. Despite the enormous international participation in the construction of the road, the government is trying to allocate some sections to local companies, that's how we are able to feed our families.’ Among the other workers, some were wearing masks for fear of being recognised. A younger one, however, seemed hopeful: ‘with the help of my family, we bought several trucks, hoping that the road business will pay back our investment.’ Some locals, it seems, are betting on the project. The local population, however, does not seem as excited as the contractors. Last year, villagers of the Kazhimukhan aul, not far from Shymkent, protested against the heavy traffic that crowded the fragile roads of the small settlement. Trucks loaded with concrete and steel were in fact ruining the asphalt, and inflicting environmental damage. Companies, however, are optimistic. At the (temporary) headquarters of AKM-Planum, in the village of Temirlan, project director Myrzagaly Baimbetov noted some interesting issues: ‘By the end of 2014, the road should be working at full capacity, that is, it should be ready to withstand the flow of 10,000 cars per day, which is unprecedented in Kazakhstan.’ He noted, however, that ‘delays in the supply of concrete from the local plant in Shymkent will push back completion.’ (The interview was conducted in March, now the rumours are that the delay could be anywhere from six months to one year). Tolganai Umbetalieva, head of the Central Asian Foundation for the Development of Democracy, was also sceptical about the transparency of the local tender system; in an interview in Almaty he said that the size of the shadow economy has not diminished, on the contrary, ‘the reason that there hasn't been much ado about the delay of the completion of the construction of the road is because those who have control over its consturction, the local governments, have already received bribes, given at the assignment of the tender. With money already in their pockets, they don't care about the development of the project and don't want to attract attention to the issue.’ Indeed, the Prosecutor's Office of the Almaty region is currently investigating possible inflated compensations for land confiscation related to the construction of the road. Through a well-oiled scheme, allegedly, public officials would hike up the invoice to the government only to return a portion of the payout to the affected citizens. Analysts argue that the new road also fits perfectly into the multi-vector discourse pioneered by Kazakhstan's president Nursultan Nazarbayev, ever since independence in 1991. Opening up fresh vectors and strengthening old ones is still the priority for Astana. Stéphanie Koole from the University of Glasgow argues that ‘the Western Europe – Western China project is also pertinent to the Eurasianist discourse that aims to integrate different regions.’ It also represents the backbone of the recently developed ‘bridge policy,’ with which Kazakhstan aims to become the link between East and West. The huge territory of Kazakhstan extends over an area eleven times larger than the United Kingdom, and yet has little more than 17 m inhabitants. Connecting its population with modern means of transport is an ambitious challenge for the leadership, due to the great distances between the larger cities. However, the implementation of the Silk Highway seems to be driven more by business interests than by a genuine attempt to link the different – and diverse – regions of the country. Apart from the local workers who have been contracted to build sections of the road, little is expected in terms of growth for the local economy.